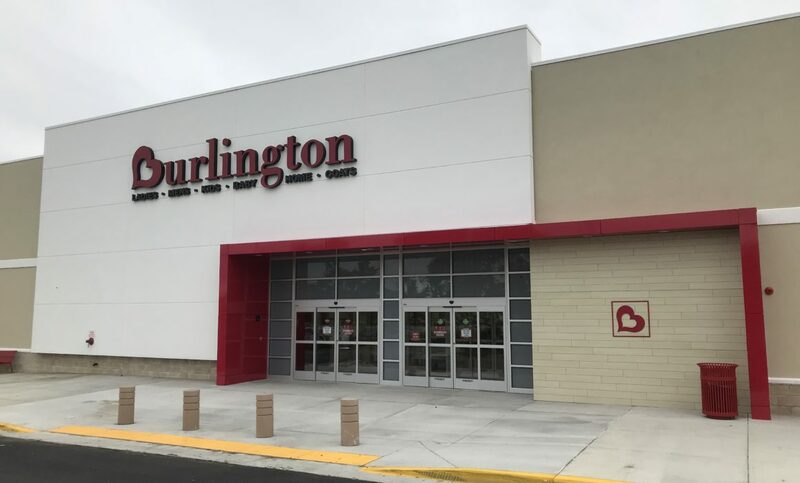 Bowie, MD (September 28, 2018) – Burlington, the national off-price retailer of branded apparel, has opened a new 42,804 square foot store within Bowie Gateway Center in Bowie, MD. Formerly leased and occupied by Sports Authority and located at 4520 Mitchellville Road, the space situated between Target and Havertys Furniture is owned and managed by MCB Real Estate, a privately-held real estate and investment firm headquartered in Baltimore. Operating 651 locations throughout 45 states and Puerto Rico, Burlington offers branded product in women’s ready-to-wear apparel, menswear, youth apparel, baby products, footwear, accessories, home goods and coats. Formerly known as Burlington Coat Factory, the retailer rebranded several years and shortened its name to reflect its de-emphasis on outer wear which now represents approximately 6% of the store’s total inventory. The site features roadside visibility from John Hanson Highway (MD Route 50) with more than 113,000 vehicles passing the site on a daily basis and is near the intersection of Crain Highway (MD Route 301). Additional tenants at the shopping center include PetSmart, Big Lots and Pier 1 Imports. The City of Bowie is situated approximately 12 miles from Washington, D.C.; 15 miles from Annapolis and 20 miles from Baltimore.